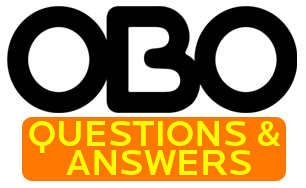 Your questions answered by OBO’s online expert, Jon O’Haire. I am planning on ordering new kickers (I’m currently using the obo robo high control), and was wondering the difference between the high rebound and high control. As the name suggests the High Rebound offer a more significant rebound effect to the kicker. The foam compresses and expands resulting in high paced clears with a minimum amount of impact. Typically keepers who play with the High Rebound kickers use more of a deflecting than kicking style in playing the ball. The only down-side is that because of the compression, once the kickers lose their elasticity you lose rebound and will feel the ball more than you might with the High Control kickers. It all depends on your game. Personally I tend to kick rather than deflect when I save/clear and prefer the High Controls. Author adminPosted on June 21, 2011 April 22, 2014 Categories OBO Online ExpertTags hi control, hi rebound, Kickers, ROBO1 Comment on What’s the difference between hi rebound and hi control? Does the colour of a goalie’s kit make a difference to the opposition. i.e. does the striker get distracted by bright colours? The studies I’m aware of in regards to colour have been done with football and ice hockey. There are two different schools of thought, one is to blend in and the second is to distract. Blue and green are good blending colours. On the distracting front, red, orange and yellow are good distracting colours. I recently heard mention of a study done by a Canadian university that was done with ice hockey goalkeepers. The study centered on many keepers wearing white equipment to blend in with the white ice. They also did a study as to what colour made pads (all the same size, just different colours) appear to be the “biggest” and yellow coloured equipment was deemed to be the “biggest.” You can make a case for blending in or distracting. If a striker is distracted by your colours they’re not focusing on the goal. If you’re blending in, the striker may not see you. At the end of the day it’s not so much about what the striker sees, but what colours make you feel strongest in goal. Author adminPosted on April 26, 2011 April 26, 2011 Categories OBO Online ExpertTags colour1 Comment on Does kit colour make a difference?